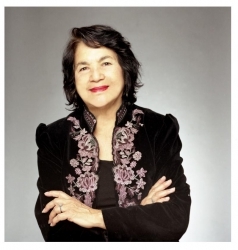 The Dolores Huerta Foundation is a grass-roots, community benefit organization, engaging and developing natural leaders. DHF creates leadership opportunities for community organizing, leadership development, civic engagement, and policy advocacy. 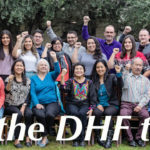 The DHF counts on your support to continue the grassroots community organizing and leadership development that improves neighborhoods and transforms lives. This takes a huge amount of resources. Your donation helps continue our work and organize new communities. Ninety percent of our budget goes to direct action. Please consider sharing just a few dollars to cover the costs of sending our organizers into the rural communities of Arvin, Lamont, Tulare, Woodlake, and Linsday to develop natural leaders who volunteer to evaluate the specific needs in their communities, determine how they will resolve issues that affect them, and create an action plan mobilizing their neighbors and civic leaders to achieve their goals. Change is in the air. This movement is transformational and its effects are powerful. Now more than ever, the DHF must be on the ground helping people turn years of frustration, outrage, and complacency into action. Your donation is an act of solidarity with like minded individuals who believe that the power is within our person and once the fire of justice is lit it cannot be extinguished. Thank you for being a part of this movement. I feel honored and privileged to spend my days working to encourage the growth of healthy organized communities pursuing social justice through systemic and structural transformation.